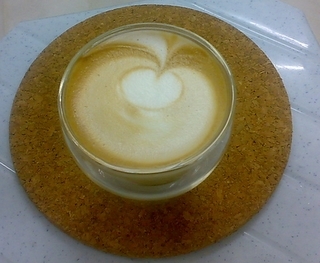 This entry was posted in Coffee, latteart, Malaysia on January 30, 2008 by KF Chan. Went to Kuantan for 2 days to meet up with an It partner. Nowadays in KL, kopitiam are mushrooming everywhere. Notably “Old Town Kopitiam” which I must admit had a great sense of business but the coffee or food are nothing to shout about. 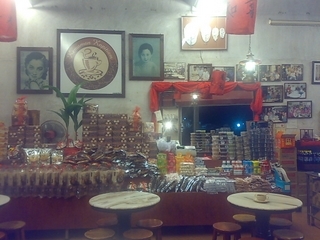 In fact, there are hardly any kopitiam worth any special mention. Nicely decorated with marbled tables. On the walls were photos of many notable visitors including celebrity like Siti Nurhalisa, royalties and plain rakyat from all walks of life. Old photos, paintings and ornaments were also nicely displayed. 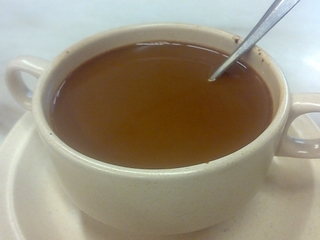 I had a Kopi Classic. It is their “famous” kamaman coffee (surely robusta) that is overly roasted (They sell pre-ground coffee that is dark like charcoal), mixed with hot water, condensed milk, evaporate milk and a touch of their coco powder. It tasted damn fine. In fact I went there 2 days in a row. I strongly suspect if you use their “charcoal dark roast” for espresso, it will taste horrible. But with the correct mixture of milk, water and a touch of coco, wow… I very nice drink this is. What do you know.. their Nasi Lemak Special with lemongrass chicken is very good. 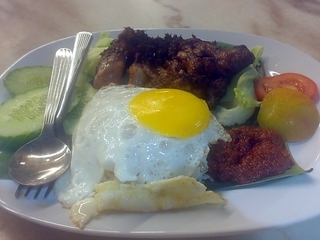 As I mentioned the criteria of good nasi lemak, the ingredients are fresh. Fresh cut cucumber (it’s not a fluke, I went there twice), fresh cut tomatos, fresh fried mata kerbau (sunny-side up), decent rice and very nice side-dish the lemongrass chicken. Frankly, Kuantan is boring. But for Kemaman Kopitiam, I would want to go back. Yummy. 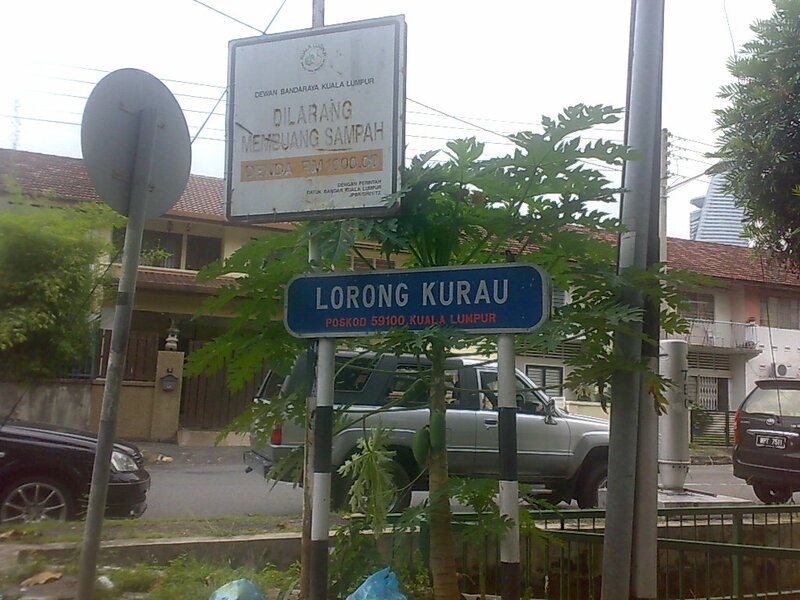 This entry was posted in Coffee, Food, Malaysia, Nasi Lemak on January 26, 2008 by KF Chan. 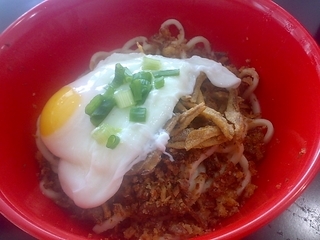 Breaking News: Kin Kin Restaurant just opened in Pandan Indah. 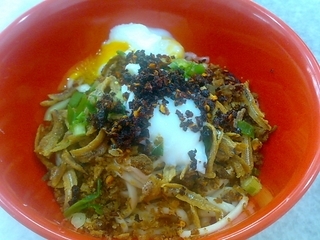 This is definitely the de-facto best Chili Pan Mee in Malaysia. Their original branch is located in a secluded place (very hard to describe) and I never got to take down their address. If you know where is Maju Junction, opposite the road, you will see a Sony Showroom. Right in front of Sony’s, cross the road and head towards 11 o’clock direction and you will find it. The original branch is kinda interesting. On the walls were written some disclaimer like.. “We are the original, we have no branches and there are many copycats” or something to that effect. So I was very surprise and happy to see a new branch. The location is somewhere opposite the main road from Steven’s Corner. Oh Yes. I’m sorry for anyone who cannot take chilies. But a word of warning. Many were tempted by the chilies and tempted fate by over indulging on the chilies. Consequences… you are likely to get a free treatment of bowel cleansing. It is good man. MUST TRY. This entry was posted in Food, Malaysia on January 26, 2008 by KF Chan. 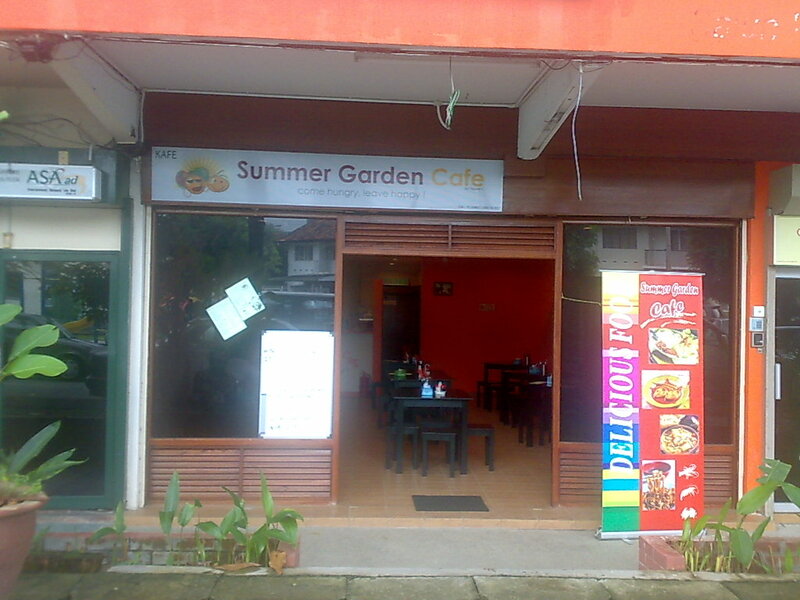 Went to this place … Summer Garden Cafe.. hidden somewhere secluded in Bangsar. Somewhere behind NSTP. Definitely one very nice nasi lemak. 2. Crunchy ikan bilis & peanuts. 3. Fresh cut juicy cucumber. 4. Perfectly boiled-egg .. yolk is not too hard and not too soft. It is so easy to make nice nasi lemak. Even though I categorized sambal, acar and curry chicken as decent, yet the entire dish I would say is excellent. 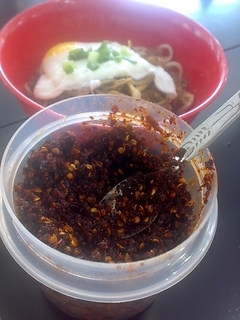 Things like sambal and curry chicken is a very subjective matter. Different people like it differently. But aromatic rice, ikan bilis, peanuts and cucumber… it must be fresh. Everything else is side issue. 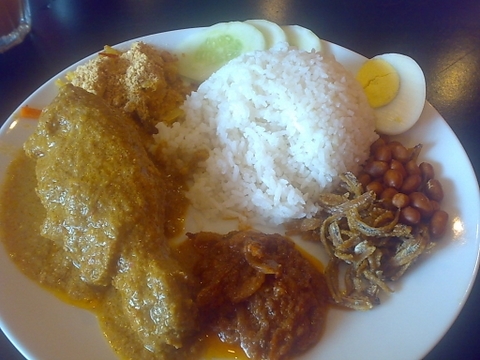 This entry was posted in Malaysia, Nasi Lemak on January 18, 2008 by KF Chan. 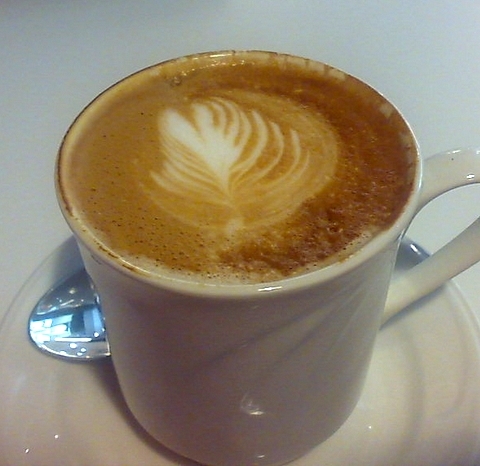 Happy Birthday to this blog, Coffee in Malaysia. Want to thank all you visitors who dropped by and many thanks to those who actually spend a few minutes to add your comments to the posts. I do welcome feedback and suggestions. Tell me what you like or dislike, cafes worth visiting and coffee worth trying. I’ll try and be more regular in putting up more interesting stuff. This entry was posted in Coffee, Malaysia on January 17, 2008 by KF Chan. I got my espresso machine about 1 year ago. Instead of getting the grinder first, I got my espresso machine first. The reason I wanted to get an espresso machine is of course so that I can make espressos and espresso based drinks. Cappuccino, latte, mocha, afogato and etc are all espresso based. And I can assure you that you cannot make espresso without an espresso machine. The cost of the espresso machine + grinder = RM 2000 + RM 2000. And I cannot afford RM 4000 at that time. But if I got myself the RM300+ grinder, I cannot really make espresso. 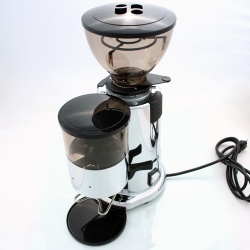 (Actually the RM300+ grinder can make espresso, but it is notoriously difficult and messy. I’ve borrowed one from a friend and it frustrate the hell out of me). But what I really wanted to make espresso and cappuccino. Can you see my problem. Alas, I got my espresso machine first from Etc-concept. Then I get my fresh coffee from my friend Danny at Dankoff. I will have the coffee grounded there and put it is Lock&Lock air-tight container. I normally spend RM16 for a week of coffee. 1. Whatever they tell you about the air-tightness of Lock&Lock, they will not prevent the coffee from deterioration (but they work great for storing fruits, snacks etc). 2. Forget about drinking espresso unless you have the coffee freshly grounded and use immediately. So, for the entire time, I only drink milk based drinks like cappuccino and I learn how to make microfoam, the stuff that makes all the difference in a cup of cappuccino. Finally, it is time to move to the next level. I got my M5 grinder. It is one heck of a grinder. It cost me RM2000++ but it should last for 10 years. With the M5, it can grind for any brewing methods, from press to drip and it is excellent for espresso. Now, my grinder is actually of a more superior quality than my espresso machine. While my espresso machine is an excellent home machine, the M5 is a commercial grade grinder. I got myself some very nice and fresh roasted beans from Dankoff, grind them with my excellent M5 and make excellent coffee with my Gaggia Baby D.
Next step, I can now offer barista service for small parties. This entry was posted in Barista, Cappuccino, Coffee, Coffee Beans, Dankoff, espresso, Gaggia, grinder, Malaysia on January 1, 2008 by KF Chan.